It was not just Hariharan who raised the tempo when summoned, Naveen Raja Jacob was back to his best. 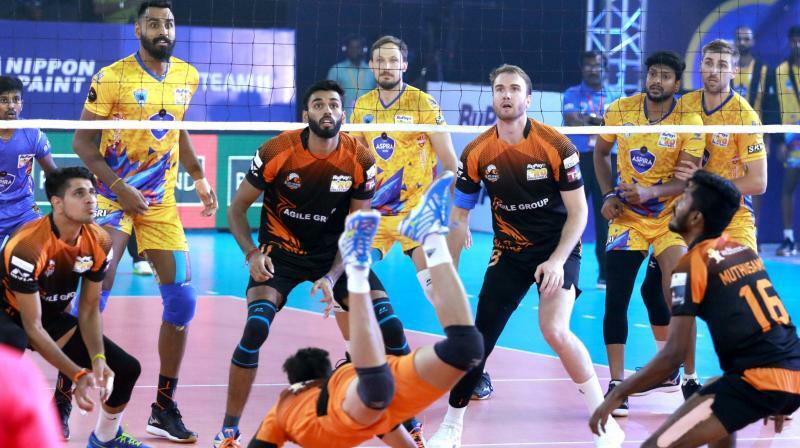 Kochi: Chennai Spartans crushed a timid Black Hawks Hyderabad 4-1 (15-12, 15-12, 15-11, 15-10, 13-15) in a Pro Volleyball League match that saw a significant mantle shift in the winning corner at the Rajiv Gandhi Indoor Stadium here on Thursday. Young Tamil Nadu setter V. Hariharan, 25, took over the baton from his illustrious senior K.J. Kapil Dev, who at 40 is also the oldest player in the league. Hariharan had replaced Kapil at the start of the second set and when he walked off the court at the final whistle the veteran setter was waiting to pat on his cheeks. The Spartans head coach M.H. Kumara lavished praises on Hariharan, revealing they had planned to send on the understudy and he credited Kapil for mentoring the youngster. 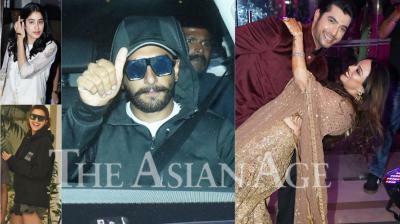 "No active setter has the experience of Kapil and it is a great opportunity for Hari to play with him. Kapil is a role model, almost like a member of the coaching staff and he was constantly interacting with Hari during the time outs," said Kumara. It was not just Hariharan who raised the tempo when summoned, Naveen Raja Jacob was back to his best. His serves stung and his spikes, 12 in total, which were in addition to his four service points, made Hyderabad’s blocking non-existent. Even at 3-0 Naveen Raja's hunger was insatiable, and the disappointment that flashed across his face when an odd serve embraced the net was telling. The wild celebrations after Khatik send one of his speed serves flying into the stands, in the fifth set, was equally profound. Barring Kapil Dev the rest of the starting six played throughout, more or less. Canadian blocker Rudy Verhoeff and Latvian attacker Ruslans Sorokins were in their elements, registering 10 and 13 points respectively. Chennai’s comprehensive performance meant ace blocker Akhin G.S. had more time on the bench, relaxing his strained left hamstring. On top of it, Vibin George never had to abandon the comfort of his sweat suit; the experienced Kerala attacker had no complaints whatsoever. He was all pumped up on the sidelines, regularly barking instructions to his busier teammates, like a true pro. Hyderabad's performance had a significant dip from their thumping opening win against the Ahmedabad Defenders. Their captain Carson Clark had been articulate after Hyderabad’s thrilling 3-2 success. The Black Hawks best bet besides the American was young Mangalorean blocker Ashwal Rai, and he failed to match his display against Ahmedabad. Clark preferred to share the blame and said they have to move on and be ready for Kochi Blue Spikers.